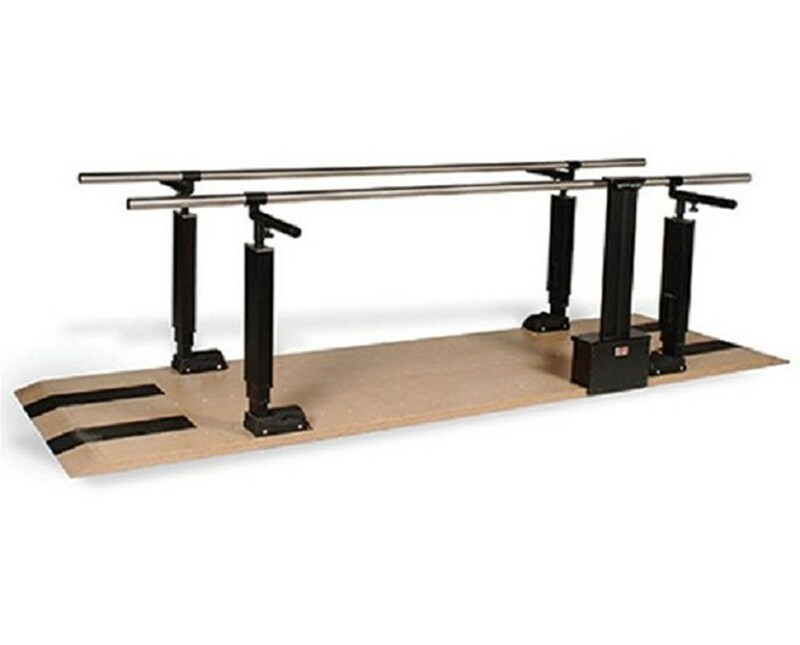 Motorized Height Adjustment from 29" to 44"
Control knobs for Width Adjustment from 15" to 28"
The Hausmann Industries Power Height Parallel Bars are motorized medical training devices designed for patients undergoing exercise and as well as physical and rehabilitation therapy. Because of this, it makes the Parallel bars a great choice for any facility. Durable and Easy Adjustability. Mounted on a 10-foot Satin-finish hardwood platform, the Power Height Parallel Bars have tapered ends with anti-slip treads for hassle-free wheelchair access and each sturdy upright have a clearance of 26 ½”. It features a control panel located near the entry end of bars, push-button controls, and a digital bar height readout. The parallel bars have a motorized height adjustment from 29" to 44" and have four (4) direct-drive synchronized lifting columns. Its width can be adjusted manually from 15" to 28" with easy-to-use control knobs. The included handrails are made of stainless steel and have a 1 ½” diameter. Safety Guaranteed. Being double insulated, the Power Height Parallel Bars have a secured control box that is equipped with 2-prong plug and cord and has a power of 110V, 60 Hz, 2.5 Amps. 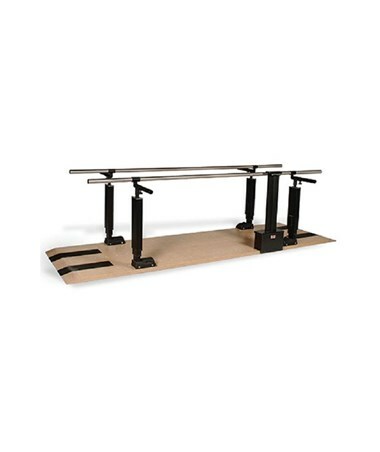 The Hausmann Industries Power Height Parallel Bars come in a size of 10' L x 15" - 28" W x 29" - 44" H and a weight capacity of 400 lbs.